When doing popcorn texture removal projects your first concern is whether the texture being scraped away has asbestos in it. 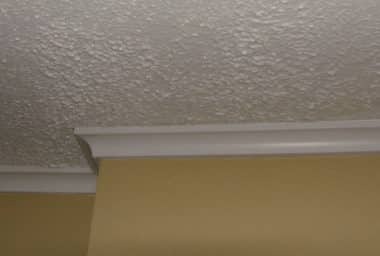 If your thinking that your home MIGHT have an asbestos popcorn ceiling it’s best NOT TO REMOVE IT. You’ll first want to purchase an Asbestos Test Kit from your local home improvement retailer. Keeping in mind that these kits can take up to a week (or more) for the results as they have to be sent away to a lab. 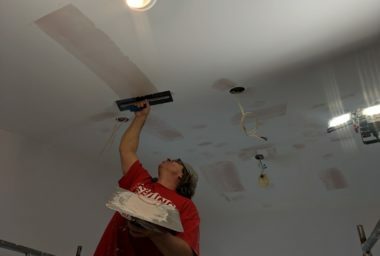 For those who feel that removing their popcorn ceilings will be a daunting task, remember that most types of ceilings can be either bleached, painted, re-boarded or re-splattered. By having professional painters, dry-wallers or ceiling bleachers offer you a free estimate you’ll be given guidance as to what technique will work best for your particular situation. Such guidance is especially useful if what your contending with is an asbestos issue. 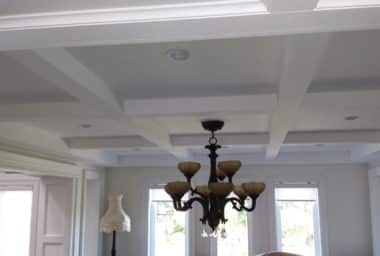 Even if your not dealing with an asbestos popcorn ceiling, health issues can still incur if the texture isn’t removed properly in the first place. Be sure to use a respirator, goggles and tight protective clothing (duct taped at the arms and legs) along with a good hat. Your intentions are to keep the dust and debris from getting all over your skin and into your lungs. 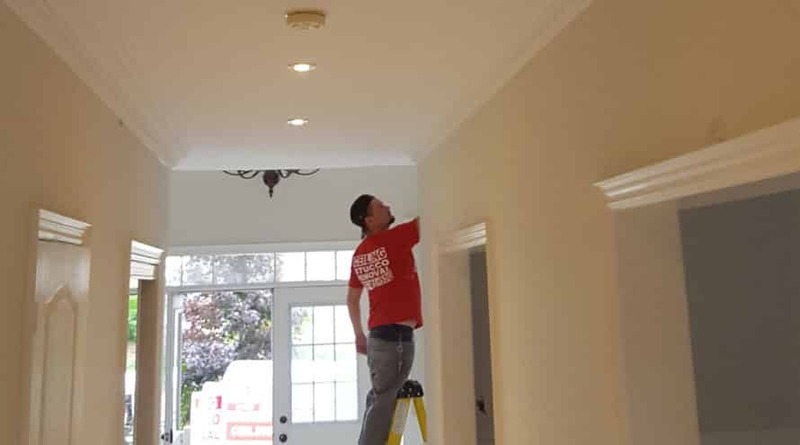 Below you will find how to instructions for how to prepare for Popcorn Ceiling Removal in Toronto. Popcorn ceiling removal is by far one of the dirtiest and most difficult DIY jobs that one can do. You want to start by removing everything that’s in the area your working in. Doing so will protect your valuables and at the same time give you the wiggle room your going to need. All furniture that can’t be moved needs covering with some type of plastic or draped drop cloth. Some people prefer to use overlapped drop cloths or rolled paper because of the slipperiness of the plastic. I don’t find plastic to be an issue just as long as it’s heavy enough. You’ll need to decide on what process works best for your particular situation.